I write urban paranormal stories for a YA/NA audience. What does that mean? It’s a highbrow way of saying I like to write stories about vampires…and fairies, and other make-believe, supernatural characters. I throw these fictional beings into our universe, and I giggle when everyday life happens to them. *See, this is the part where you can feel free to leave. I like to use my vampires to explore family dynamics. What makes a family? Is a family determined by chromosomes, or is there more to it than that? Who decides who is part your family, or my family? Is it all up to fate or do we have a choice in the matter? And what happens if your weren’t blessed with the perfect family? What if your family’s dysfunctional? Is that it? Are you stuck with the hand you’ve been dealt? I don’t have all the answers, but the questions are fun to explore. Along with family, is the concept of home. If you’ve only lived in one place, how do you know if you’re home? 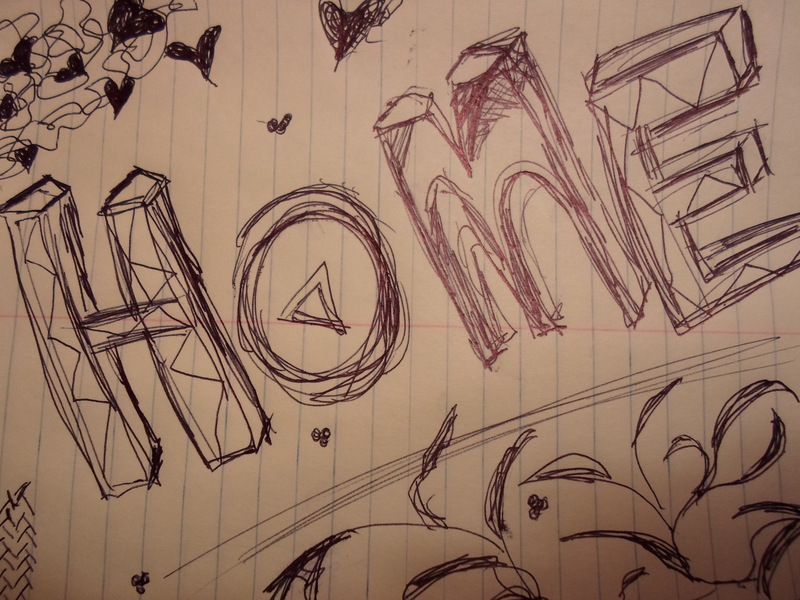 Is home a place on a map, or is it a place in your heart? I have my own opinion on this matter of course, but it’s been fun making my main characters, Chloe and Roberta (Bobbi) Williamson, explore what this means to them. It’s interesting to write my way through their struggles. The more I write, the more my characters learn. The more I explore, the more I learn. I couldn’t take this anymore. I wanted the insane questioning to stop. Mystery Aunt won. She knew it. I knew it. There wasn’t anything left to say. Let the punishment begin! *This completes my 3rd assignment for WordPress: Writing 101 and my 4th assignment for Blogging 101. You’ve gotten me hooked! I love vampires…sorry, I mean I love to read about them. In fact, I can never get enough of them. I had just finished watching a Korean drama on vampires…and am searching elsewhere to satisfy my graving..sorry..craving for vampire stories before the next vampire drama is available. Thank you for sharing. 🙂 Can’t wait to explore your site. Thank you! Like you, I’m always searching for a great vampire story. What’s the name of that Korean vampire drama? YES!!!! The only thing worse is to say “Romance” or “Erotica”. I think Children’s Book authors get more respect!